Week Three of the 2019 Major League Rugby season is upon us. NOLA continues to top the table and Seattle doesn't look as strong as last season. We've got three days of MLR action this week, with games on Friday, Saturday, and Sunday. 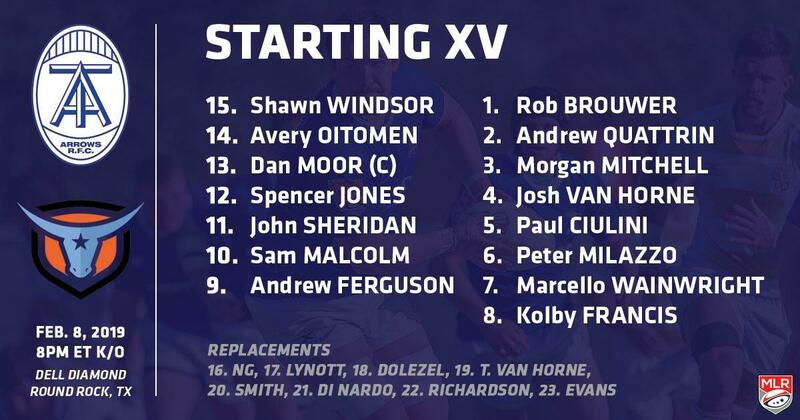 The Toronto Arrows are looking for their first ever victory in Major League Rugby. They came close against NOLA, but they had fallen into too big of a hole to come back from. This time they'll be facing the Austin Elite at Dell Diamond, but they'll be without the services of a number of players. Cole Keith, Mike Sheppard, Kainoa Lloyd. and captain Lucas Rumball are all on international duty with Canada. Meanwhile John Moonlight is unavailable this week due to his duties as a firefighter. Toronto is going to have their depth tested in this match and we'll see if they're up to the challenge. Austin Elite are still looking for their first victory of the 2019 season. They had a decent start against Houston but fell flat against Utah. 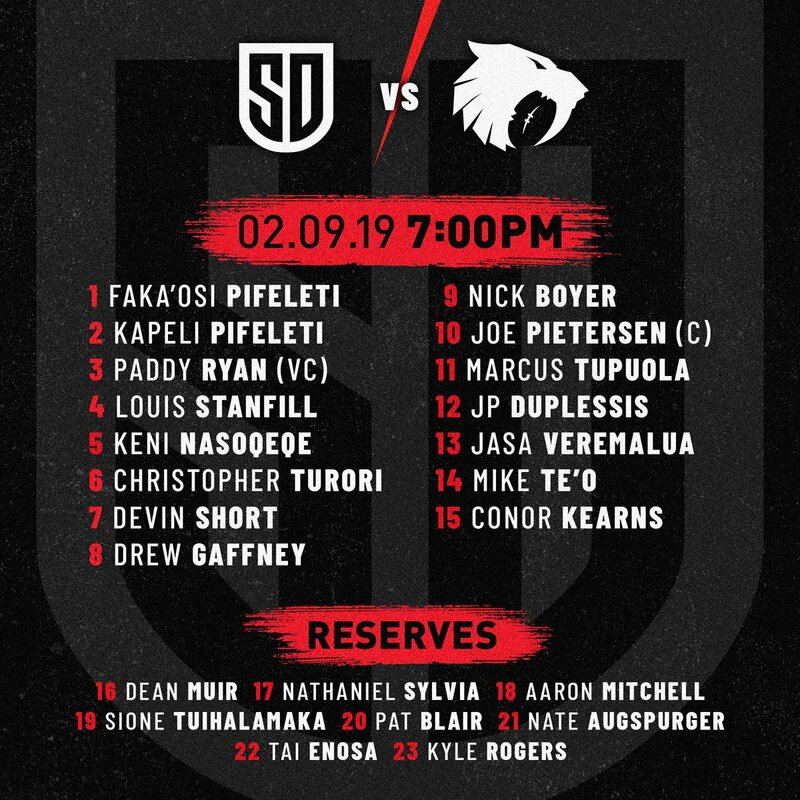 Austin does get a key addition to their squad as Rodrigo Silva is starting at fullback after being announced this week. Silva brings over 50 international caps of experience to the Elite back line. Silva was a part of the Americas Rugby Combine in the fall and is among a number of signings made from that camp. The Elite will be looking to start fast and aggressive after being slow and complacent their first two games. Austin has a tough challenge and we'll see if they are up to the task this week. The Houston SaberCats won their first game of the season, but were disappointed in their performance. Houston's only points of that game came off the boot of Sam Windsor. There were chances to be more aggressive in the game against Austin and if the SaberCats don't take advantage of those chances, it could cost them in the future. The SaberCats travel west this week to face San Diego. Houston's forward pack will need to keep an eye on their opponents as San Diego's scrum has come a long way since last season. One matchup for fans to keep an eye on is the back line. San Diego has a couple of play makers back there and Houston could be missing theirs. The San Diego Legion are currently in second place in Major League Rugby. They should have more points on the table, but were undone by a penalty try their first match against Rugby United New York. The Legion survived monsoon rains last week to beat the defending champion Seawolves. The Legion's scrum will be a big key for them this week against the SaberCats. Houston has some good forward depth and we could see if the Legion scrum is for real or not this week. Watch for San Diego to come out firing on all cylinders to try and put this game away early. The Seawolves floundered in the rain last week in San Diego and they may have lost a key piece of their engine for a while. Vili Toluta'u was taken off with an air cast on his leg against San Diego and last word had him up and moving, but nothing since. The Seawolves were on their back foot for a good portion of that match and just couldn't get any momentum going. This week Seattle heads to the Gulf to take on the NOLA Gold. The Gold are a surprising top team this season. They put up a bunch of points, but they've also given up a lot of points too. Seattle prides themselves on their defense; so if the Seawolves are going to win, they'll need their defense to be stout and their offense to be running hard. 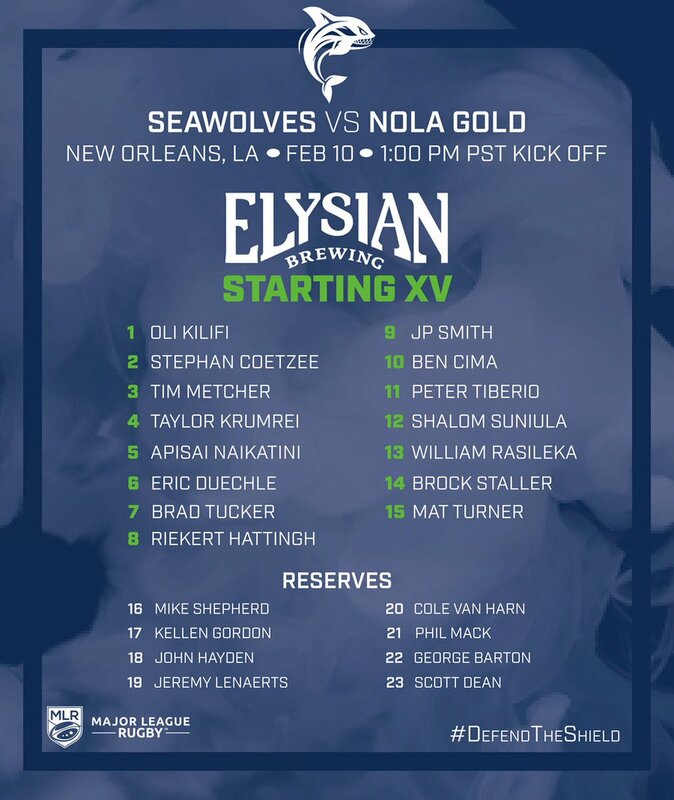 The NOLA Gold are coming off a big win against the Glendale Raptors. They were able to do so without the services of a couple players away on international duty. During the week, NOLA made a big signing with the announcement of Tony Lamborn. The Gold now have a scary back row in Lamborn, Cam Dolan, and Kyle Baillie. The Gold's high powered offense has helped keep the criticism of their defense at bay, but their defense has almost cost them. They've built big leads and come close to giving up those leads in both their matches this season. They can't do that against the Seawolves. NOLA will need to keep their foot on the gas for this entire match.